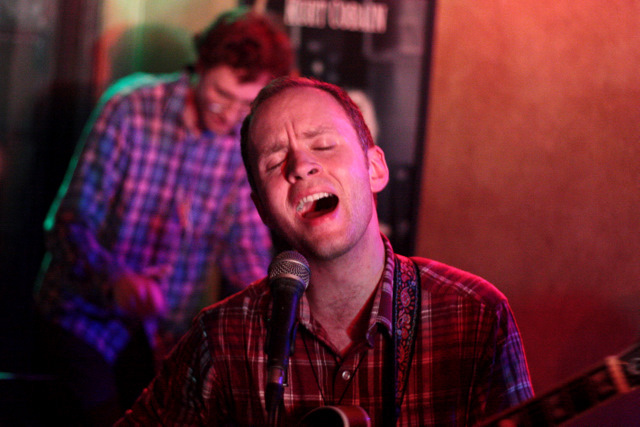 Jens Lekman is my favourite musician ever. He calms me like no other, takes me to a better place. 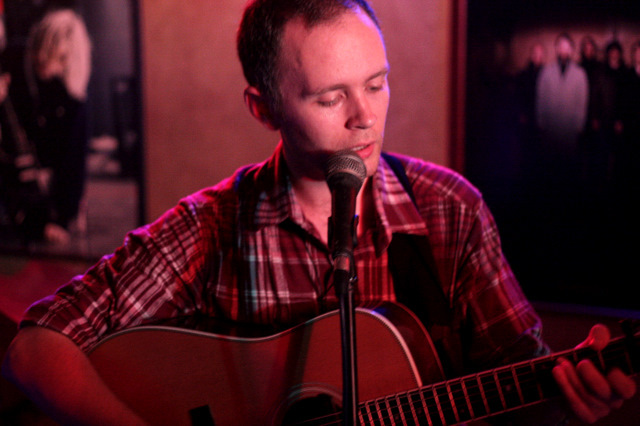 He writes and plays with no pretenses. Just heartfelt music. About slicing avocadoes and spilling beer all over the atmosphere and dancing the funky chicken. And sweet sweet love. The genre is described as Swedish Indie Pop (but he sings mostly in English); it may not be for everyone, as I don’t even know a soul who likes him as much as I do. For the longest time I had to content myself with downloads and bootlegs, but a couple of years later, Jens FINALLY finds himself in Manila. How incredibly special it is to be in a room full of people who seem to know and love his work as much as I do. What a lovely lovely show. 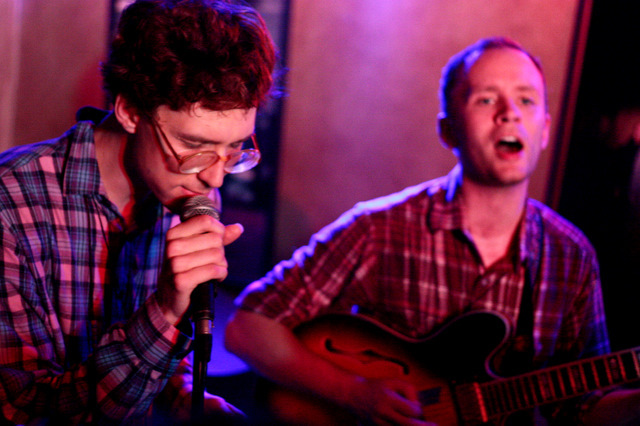 The Kings of Convenience show was also great. No pictures from the unfortunately, even if we were near the stage, how stupid of me. 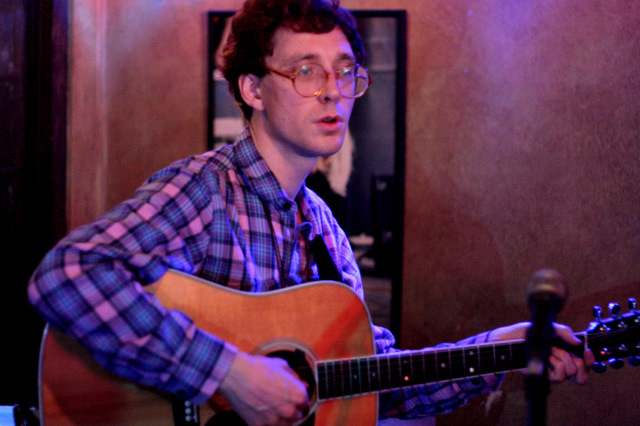 Erlend Øye is such a strange, adorable, talented creature. These two evenings with my favorite musicians ever. Really one for the books. I am willing to skip The Killers (I only loved the first album), Owl City (has become too popular with the kids), and Paramore (not really a favorite), but I wouldn’t want to miss Kings of Convenience. 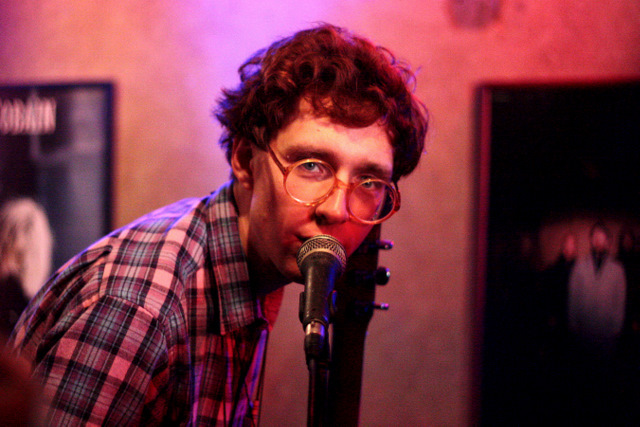 I have a crush on Erlend Øye even if I cannot say his name correctly. Every now and again sometimes I get lost on the wind of a dream. The possibility of having musicians I like come to the country are few and far between, and it makes me feel deprived in a way. So many of my favourite artists come to Singapore and HK, but skip the Philippines altogether. That being said, I was torn about getting tickets to the Katy Perry concert when I found out that Mae was part of the lineup. (I’ve liked them since 2004.) I wasn’t really sure if it’s worth my while, I didn’t really care for Katy or the other artists. (She put on a great show, she’s SO great-looking and I enjoyed watching her, so that’s a good bonus.) I’m glad I still came. Trin saw Mae play in a music festival, and she said it right, it felt quite like the best 30 minutes ever. Even if I was the only one from my area singing to the songs and bopping my head. (I was surrounded by prepubescent chinese gay boys who are obviously there to see KP.) Seeing them live and reading their tweets made me appreciate their music all the more. I really wish more artists of the non-popstar variety would come here.